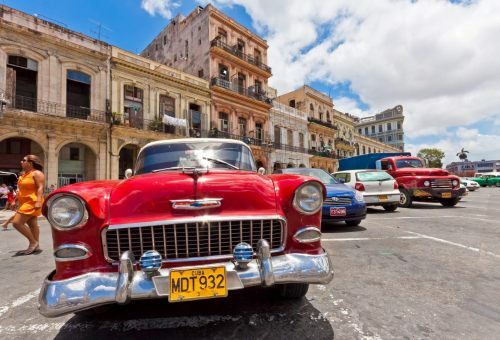 Cubana Airlines has dropped the price of some of their June flights from Montreal to Camaguey, Cuba down to $318 CAD roundtrip including taxes. Cubana Airlines is a below average airline. 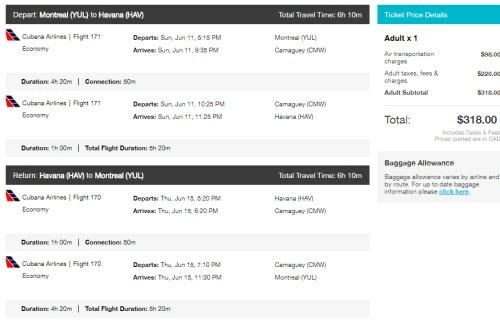 You can also find flights from Montreal to Havana on the same dates, but with a stop in Camaguey each way. NOTE: It's easiest just to type CMW or HAV into the destination box on Flight Network. In the past, it's been somewhat difficult for independent travellers to pre-book their accommodations in Cuba (usually using casa particulars). But, Airbnb now works in Cuba. The average price of your own apartment in Havana (not shared) through Airbnb is $111 CAD/night for 2 people. montreal, yul, flight deals, cuba, caribbean, western caribbean, cmw, havana, hav, greater antilles, cubana airlines and camguey.